Landers is a 4 years young, happy go lucky Labrador/Shepherd mix. He leaps when he runs – which is practically all the time – and he’ll chase any ball or toy you throw for him. His retrieving skills are something else .. the shelter staff have yet to coax him in to returning it. Nonetheless, Landers is smart and curious, so it’s really just a matter of time and practice. Landers will want to be included in your life; and he’d prefer you lead an active one. He’d be a good running buddy. 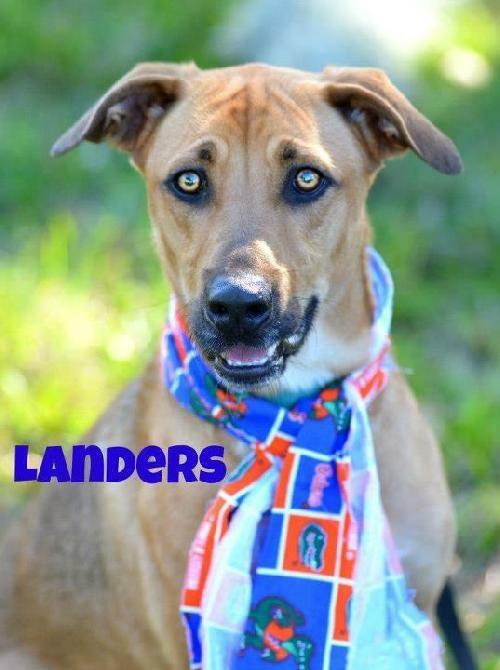 Landers gets along great with his kennel mates so if you already have a dog, maybe Landers could be his/her new best friend? He would do fine in a home with older children but needs a patient person when it comes to potty training as he’ll need time to adjust to a regular routine. 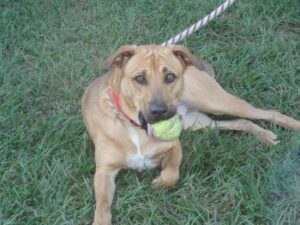 Landers is up to date on his current shots and is neutered. If you’d like more information about Landers, contact Satchel’s Last Resort by calling (941) 924-5070 or email them at comments@satchelslastresort.org. Lander’s story is brought to you by Ace Pet Resort an award-winning pet care facility with a knowledgeable and caring team situated on nine beautiful acres for the discerning pet that craves personalized care and individual attention.